Polystyrene food containers targeted in Chicago restaurants and schools. Interesting article in the Chicago Tribune today. 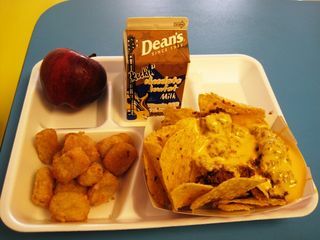 This article is primarily about the waste generated by single-use polystyrene food trays used in schools. But it also touches on a less-well publicized aspect of polystyrene use: its toxicity. "Burke said he had been thinking about the issue for a while, "but what really pushed me was when I saw in the Tribune what was going on in Chicago Public Schools." Rugai says she concerned that the containers "stay in landfills for hundreds of years but also that they can be harmful to health," if styrene leaches into the food." Styrene is also known as vinyl benzene. The US Environmental Protection Agency, which is notoriously conservative when it comes to associating plastics with any ill-effects, has described styrene as "a suspected carcinogen" and "a suspected toxin to the gastrointestinal, kidney, and respiratory systems, among others." Now that BPA and phthalates are fully in the public eye, let’s ramp up awareness of the dangers of styrene.